Geeks aren’t so far removed from gangstas in the grand scheme of things. Both groups are fiercely loyal, they both enjoy a good rap, and they’re all about the bling. Geek bling and gangsta bling don’t often intersect, but when they do it’s a thing of true beauty. That’s just what happened when the now-defunct Sync Magazine contacted designer Kristin Verby and her company Whiteboard Product Solutions a few years ago, asking for photos of gangsta gadgets. 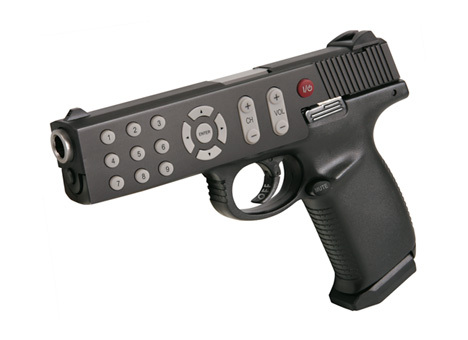 The above “Remote Glock” was just one of the brilliant products the team came up with. 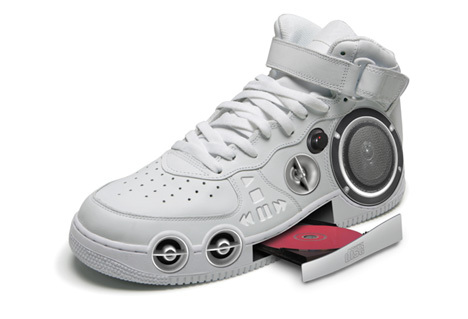 But our favorite has to be the “Boombox Sneakers.” Never mind that it would be totally impractical to have a CD tray and a whole set of speakers in your shoes; they would still be the awesomest shoes ever seen in either the geek or gangsta world. The “R. 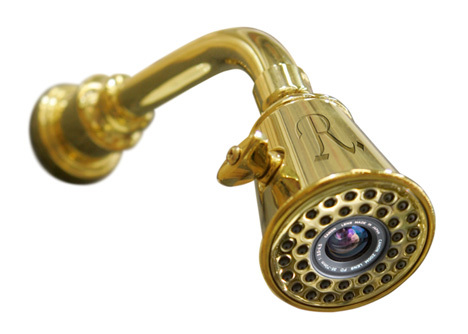 Kelly Shower Head” was the raciest of the renders, and the savvy reader will note that it is, in fact, a golden showerhead. Take a closer look and you’ll see a tiny camera lens peeking out from the center – a detail that makes this concept just as creepy as it is funny. Luckily for us, none of these pretend products have even the slightest chance of actually being produced. See more in Unbuilt Concepts or under Technology. November, 2010.